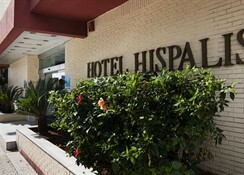 The 3* Catalonia Hispalis Hotel enjoys a great location on the outskirts of Seville with great connections to the city centre, historic district and commercial centre using scheduled public transport. Guests will find a fine array of restaurants, cafes, shops, bars and nightly entertainment within easy access of the hotel. 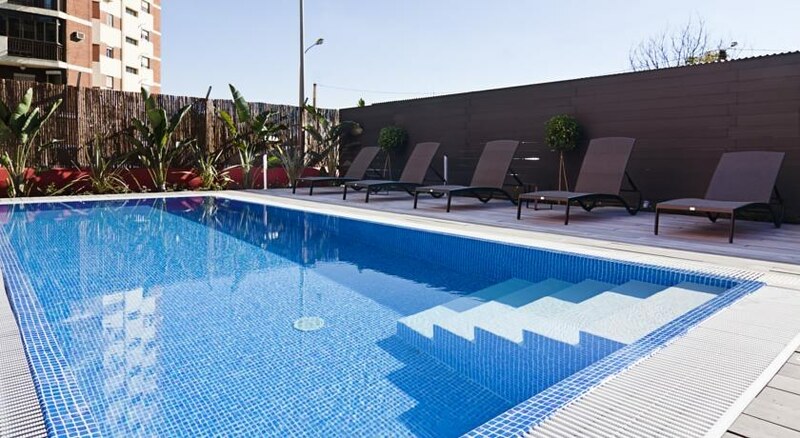 The 4* Catalonia Giralda Hotel offers great value for money comfortable accommodation and services making this hotel an ideal choice for visitors to Seville whether they come for business or pleasure. 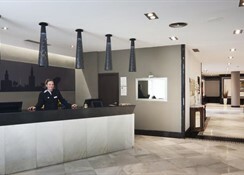 If you fancy a real treat and a great stay book your next visit to Seville at the 4* Catalonia Giralda Hotel and enjoy. 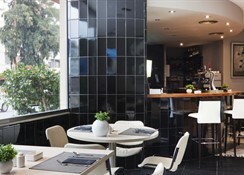 Getting to the hotel: the 4* Catalonia Giralda Hotel is easily accessed from the A49/A4/A66/A92 and AP4 roads. The airport is under 10km away. The main train station is a mere 2km away and the scheduled bus stop only 10 metres away from the hotel foyer. Local tips: not to be missed is the Flamenco Museum – a visual feast of colour and style with hundreds of Flamenco costumes on display and a detailed history of Spain's most famous dance. Ask staff at reception for further information and local guidance. Dining: breakfast is served daily featuring a hearty buffet with a wide offering of well sourced well prepared produce, baked goods and fruits. 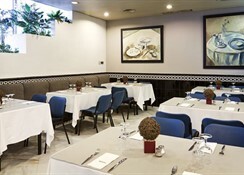 Lunch and dinner are served from a wide a la carte menu featuring local, national and international cuisines. The foyer bar serves fine wines, beers, spirits and beverages throughout the day. 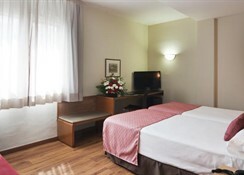 Additional: 24hr reception, currency exchange, safety deposit box (reception), housekeeping, maid services, medical assistance (on request), tourist information services, free Wi-Fi internet access, parking (extra charge), internet corner, car and moped hire, laundry services, air conditioning/heating, 24hr room service, wake up call service, guest relations. All guest rooms are comfortably furnished and equipped with heating/air-conditioning, direct dial telephone line, complete marble bathroom with hair dryer, satellite TV, a safe, Wi-Fi Internet access, baby cot and extra beds on request and room service.